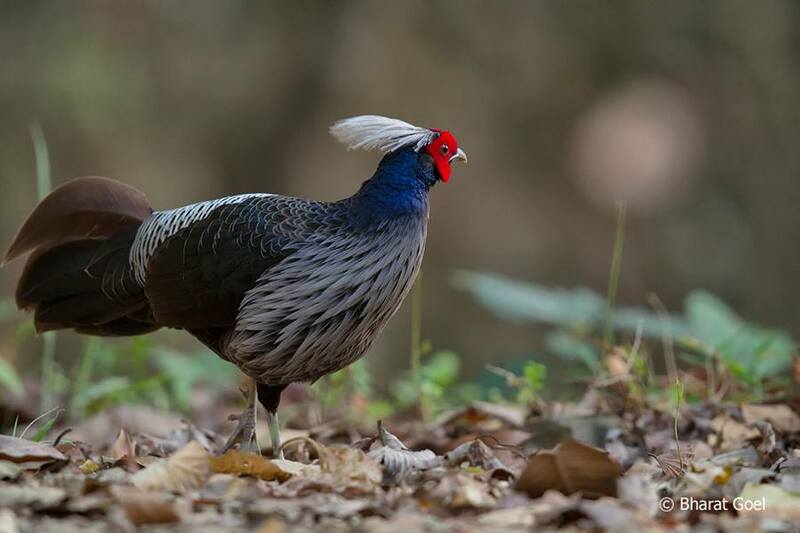 If you are planning to visit any of the foothills region of the Himalayan range or any wildlife sanctuary or a national park in its vicinity, you are sure to encounter a beautiful pair of birds namely Kalij Pheasant. It belongs to the family of Phasianidae. The male has glossy bluish black plumage and the female is brown. For the 10 years or so during my visits to National Parks namely Corbett Tiger Reserve and Rajaji National Parks in the State of Uttrakhand , I have been generally observing them in the morning hours when they come out for foraging .They can also be seen during late afternoons in a group or otherwise. 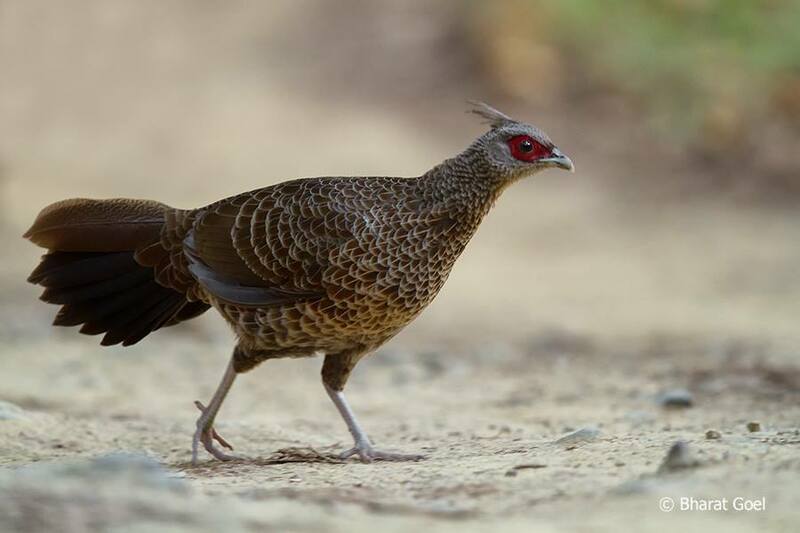 Since months of April to June are the best to observe big mammals namely Asian Elephants , Bengal tiger ,leopard in the above parks, this is also the breeding season for this specie namely Kalij pheasant . 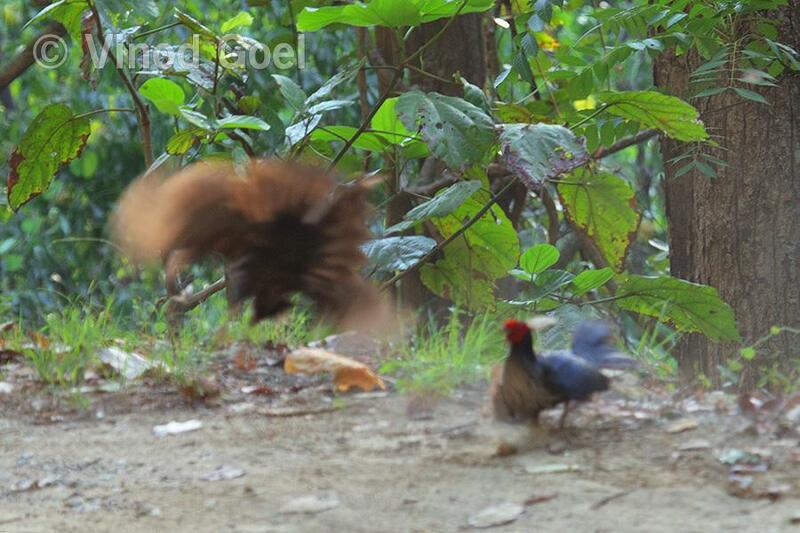 If you are lucky one may observe two males fighting for territorial as well as for the mating rights. I was fortunate to witness one such fight during my recent visit to Durga Devi Gate in the Corbett National Park (about 28 km from Ramnagar ).This area is basically for the birders but may encounter tiger and leopard too. I was following one of the pair from the hill top which came on the road on which we were travelling during the game drive. As soon as it came near the other pair both the males flew in the air to fight . I was surprised as I did not anticipate the next move . Hence could not freeze the moment as it should have been. Sometimes wilderness creates the moments just for” your eyes only” and not for showing to the people at large. 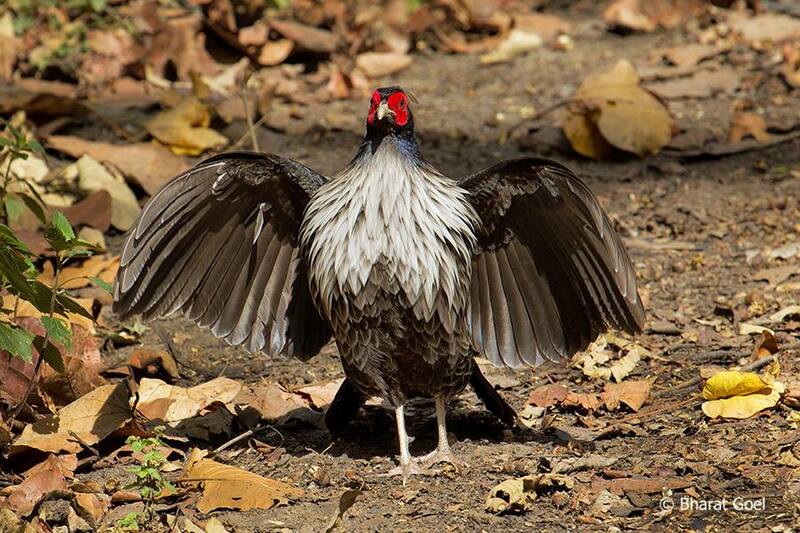 We may observe male performing courtship display to attract the females as well making calls to inform his rivals to get away from his area and to inform the likely females about their presence in the area. 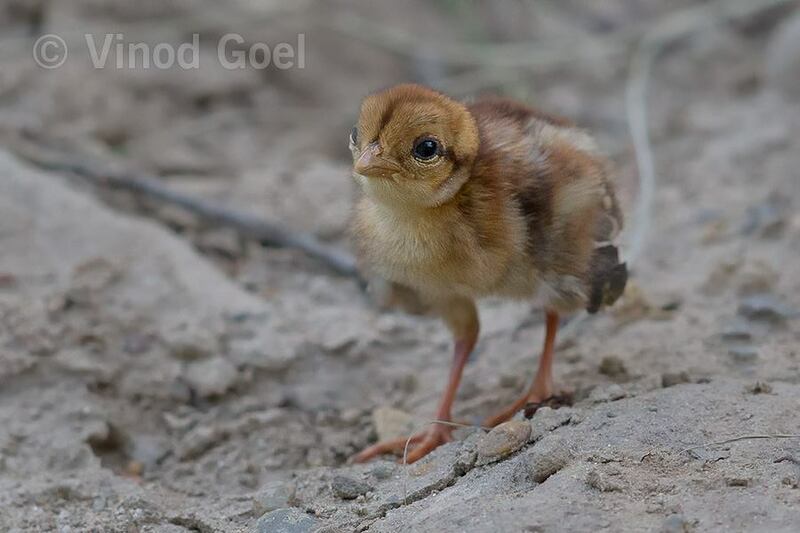 During the breeding season I was fortunate to shoot their chick in the Ranipur Range of the Rajaji National park in June 2015. This range is just next to the Bharat Heavy Electricals Limited at Haridwar and is one of the best places in the Northern India to observe leopards in the natural habitat. 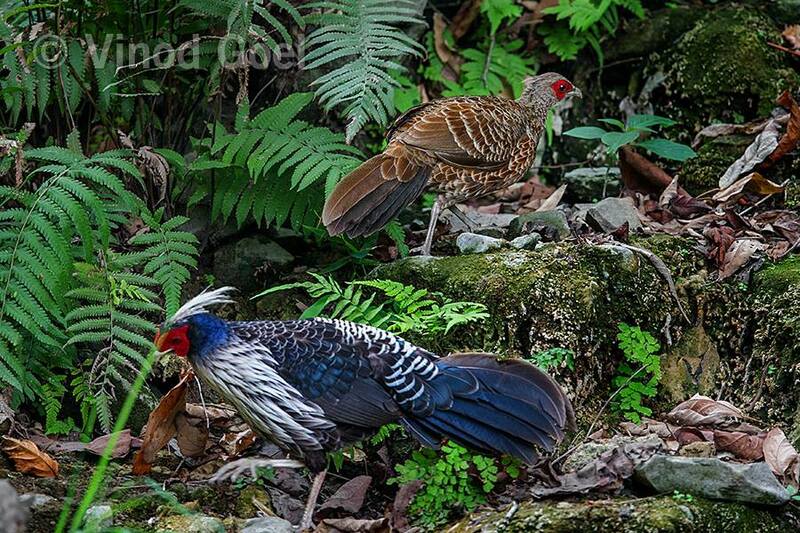 Enjoy the beauty of the beautiful pheasant from the hills.